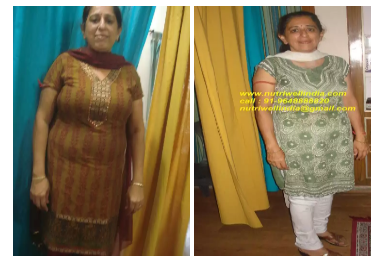 I had heard about Dr Surabhi jain’s Nutriwell through a friend, who owed her tremendous weight-loss and imminent health to her diet plans. I had spent almost two decades of yo-yo dieting and fad weight loss schemes, due to the nature of my profession. For the first time in my adult life, I not only lost weight, which stayed off, but my skin, hair and energy levels were fantastic! It was nearly 2 Years ago, overweight and unable to walk properly as I suffered from severe knee and heel pain. I was nervous and scared when I went to meet her the first time but her poise, confidence and motivation gave me a lot of courage and strength to be obedient to her diet.